Thank you for your support during this difficult time. Please enhance this tribute to Joel by adding your memories and photos. MSgt. 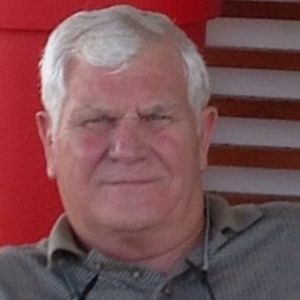 Joel Chandler Terhune, USAFR, 72, of Ladson, SC, a US Air Force Reserve veteran and husband of Alice Ayer Terhune died Friday, March 1, 2019. His graveside service will be held at Floyd Memory Gardens in Rome, GA, on March 12, 2019 at 11:00 am. Local arrangements by J. Henry Stuhr, Inc., Northwoods Chapel. Joel was born November 13, 1946 in Rome, GA, son of the late James Victor Terhune and Lela M. Brown Terhune. He is survived by son, Jeffery S. Terhune (Yvette) of Auburn, AL; daughter, Christie T. Nyman (Chance) of Isle Of Palms, SC; grandchildren: Jared, Caleb and Sara Terhune, Kyle and Alexa Nyman. In lieu of flowers a donation may be made in his name to Folds of Honor, Dept 13, Tulsa OK 74182 or thru their website at Foldsofhonor.org. My sincere condolences for your loss may you find comfort in reading Hosea 14:13. Very sorry to hear the news. It was a pleasure and honor to serve with Joel. He always brought his "A" game to the nation, our 315AW, his own squadron, and the crews he flew with. Will remember him fondly as we pray for God's peace that passes our understanding to be with you at this time. Genell and I are saddened to hear of Joel's passing. If there is anything that we can do, please let us know. You and your family will be in our prayers and may the Lord keep you in his hands. We will always cherish our memories of Joel and the place he held in our hearts as a member of our family. He was a faithful husband, father, son, and brother to all of his family and ours. He will be greatly missed until we are all together in the Father's house. All our love to you Alice, Jeff, Christie and families. Life Stories provides friends and families a forum to post their favorite stories and memories of MSgt. Joel Chandler Terhune, USAFR ensuring the precious experiences are never forgotten. Share joyful times, post a photo that captures the moments you cherish, and allow others to reply, relive and remember.